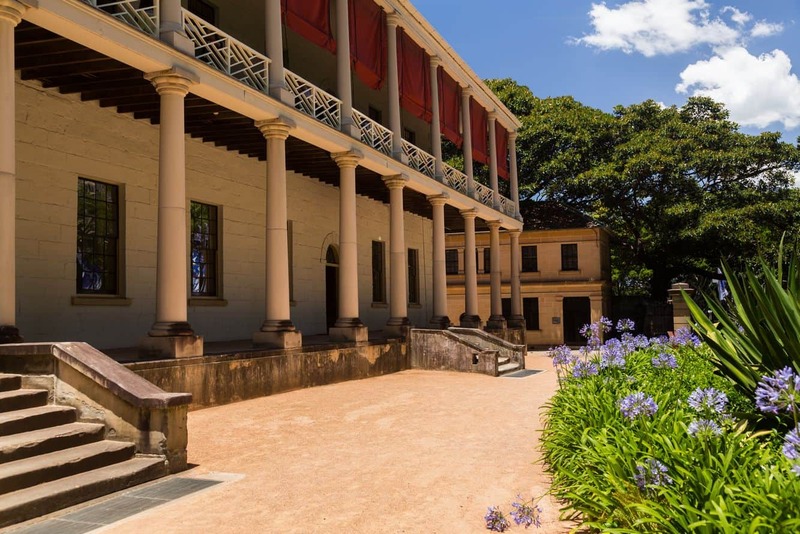 The Sydney Mint is the city’s oldest public building, which is best known as part of the former Rum Hospital. The building was constructed between 1811 and 1816, and constituted the southern wing of the then-Rum hospital (today known as Sydney Hospital). In 1854, a mint was put up on location. The staff who served at the coin manufacturing plant lived within the hospital building nearby. In addition to the mint, a coining factory was also manufactured at the back end of the facility. 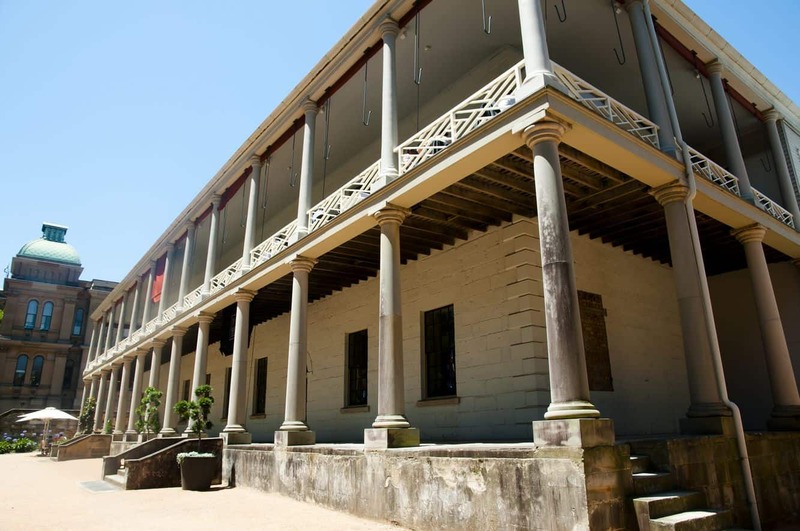 Both structures are significant in Australia’s history and have been linked to key events in the past. The Rum Hospital catered for convict patients between 1816 and 1848. Interestingly, it earned its name from the fact that it was financed with thousands of litres of rum. Today, The Mint is one of Sydney’s most popular buildings. Today, it houses the head office of the Sydney Living Museum, venue spaces and has a cafe and restaurant on location. The Mint is also home to the Caroline Simpson Library & Research Collection. For history buffs and bookworms, this is a perfect way to spend an easy afternoon. The library is open from 10am to 4pm. Need to address the hunger pains? Head out to the swanky No. 10 Bistro & Store. With a contemporary bistro style menu prepared using freshly sourced local produce, No. 10 is a must-visit for anyone willing to treat themselves. Reservations can be made by calling the restaurant during business hours. Head downstairs below the restaurant where you get to access an espresso bar, a gift store and fresh blooms. There is no better place to get your caffeine fix before shopping for the perfect souvenir. 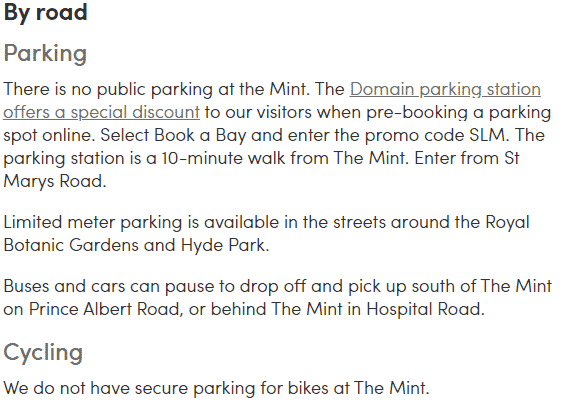 The Mint’s convenient location in Sydney’s CBD makes it an ideal location for venue hire. Its timeless architectural design, coupled with integrated AV, means it is a befitting location. 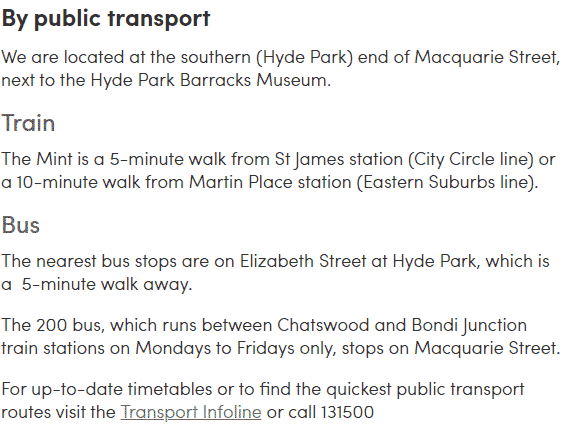 Entry to Sydney Mint building and site is free. Guided tours are available for groups of 10 or more. 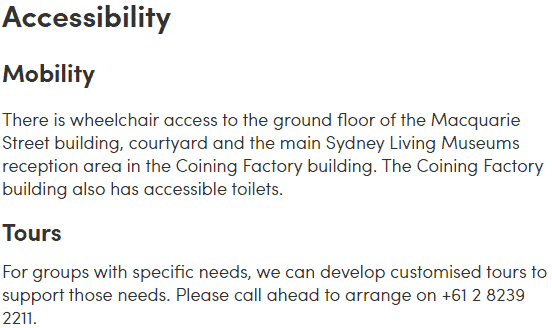 The following areas are accessible for wheelchair users: the reception area, Coining Industry building, as well as the ground floor of the Macquarie Street building.